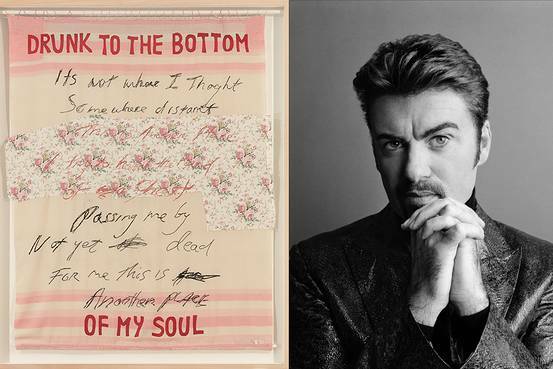 Over 200 pieces from the late British singer George Michael's private art collection will be sold at a Christie's auction in London next month. The collection contains works by artists from the young British art movement, many of whom Michaels befriended, and include a commissioned portrait of Michael Craig-Martin. The collection demonstrates Michael's "commitment to pioneering creativity", according to a press release from Christie's. Cristian Albu, co-head of post-war and contemporary art at Christie's, wrote in the press release that the collection celebrates adventurous spirit in the young British art movement at the end of the 1990s. Twenty-five pieces will be sold in London on March 14 and another 130 will be available to bid online from March 8 to 15. The proceeds will be used to continue Michael's philanthropic work. Prices range from £ 400 to £ 1.5 million (US $ 517 to US $ 1.94 million). As a philanthropist, Michael donated privately to a number of charities during his lifetime. He supported causes, including HIV / AIDS awareness, children in need and famine relief in Ethiopia. "The art collection of George Michael reflects the friendships built between one of Britain's most renowned musical artists and the artists who created works of art at an infinite moment in British cultural history," wrote Michael's trustees in the press release. "Philanthropic work was hugely important to George during his lifetime, and it was his wish that this work would continue after his passage." Before the March 14 auction, the collection will tour, making four stops worldwide. The tour started today in New York, where it will stay through February 11 before continuing to Los Angeles, Hong Kong and Shanghai, and pay tribute to Wham! to be the first major Western act performed in China, according to the press release. The collection tour concludes with a public show at Christie's in London for six days before going under the hammer. Michael was part of the English pop duo Wham!, Followed by a solo career and died on December 25, 2016, at the age of 53.